The Wine and Cheese Place: Jim Nantz's "The Calling"
Hello Friends! 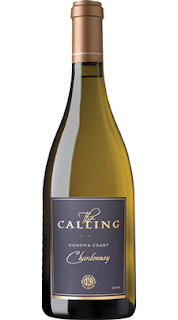 As we get ready for the The Masters, the first Major since St Louis hosted the PGA Championship, we thought it appropriate to highlight Jim Nantz's "The Calling" Chardonnay and Pinot Noir. Be sure to have a glass on hand while enjoying the excitement of Amen Corner this weekend. One of the fresher 2017s tasted, this has a ripe core of melon and pears with attractive oak spice and subtly toasty notes on the finish. Drink now. When Jim Nantz and Peter Deutsch met, they discovered they had both found success by pursuing a calling in life. For Jim, that calling was to unlock the voice within, eventually calling the greatest sporting events of his generation. For Peter, it was transforming a small family business into one of the most prestigious wine companies in the world. Inspired by their mentor fathers and guided by their common values, the two found a new calling: a partnership to produce hand-crafted wines that bear the standard of excellence and style that are the hallmarks of these two men. Dutton Ranch is a phenomenal Chardonnay vineyard! Inviting notes of honeysuckle, white rose, lemon meringue and baked brioche on the nose. Balanced yet with crisp acidity on the palate with flavors of ripe Asian pear, melon and Meyer lemon with a lingering, elegant finish. This is an intensely minty, earthy and clove-spiced wine, soft and velvety in texture. It shows a rounded body that feels ripe and rich, making this a real crowd-pleaser of a pour.